August 27, 2018 at 12:05a.m. Friends and family members of a township man who died last year after struggling with addiction hope an upcoming event in his honor will keep his memory alive and help others who are struggling. The first Run for Recovery In Memory of Jordan Johnson will be a tribute to the 27-year-old who died of a drug overdose Nov. 29, 2017. Proceeds from what is hoped to be an annual event will establish scholarships to fund treatment for other individuals with substance-use disorders. This year, the funds will go to First Step Recovery in Warren. “Along with keeping his memory alive, our goal is to create awareness and reach out and help others,” said event organizer Laura Revetti, a lifelong friend of Johnson’s and his family. Johnson’s family includes his mother, Cheryl Puskas; father, Gus Johnson III; sister Courtney (Puskas) Worley; and brothers Gus Johnson IV, Jeremy Puskas and Ryan Puskas. After his death, Jordan’s family shared his struggle with addiction in his obituary and in a story in The Vindicator. In addition to the challenges, they recalled his giving nature and passion for personal fitness. Revetti thought of those traits when she planned the 5K run/walk. 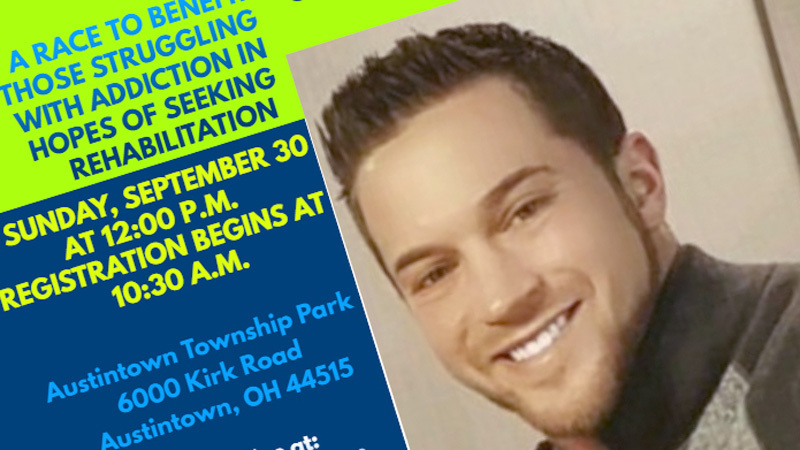 The event will take place at noon Sept. 30 at Austintown Township Park on Kirk Road. In addition to honoring Jordan, Revetti said the event will honor the memory of others who have died because of a substance-use disorder. Participants are invited to send Revetti the name and photo of a loved one, or to bring a photo the day of the event. The fundraiser also will feature resource tables from local mental health/recovery and treatment organizations, as well as raffle items. The event is seeking sponsors and donations. To register in advance for the run/walk, visit gopherarun.com. The cost is $18 if you register before race day and $20 if you register the day of the event. Registration begins at 10:30 a.m.
For more information about the race or sponsorships, or to send in a name and photo of a loved one, email Revetti at revettil@yahoo.com. The event has a Run for Recovery Facebook page with additional information. Revetti emphasized that though the event is a 5K that will recognize the first-place finisher, it’s not all about the race. August 26, 2018 4:28 p.m.
January 7, 2018 12:01 a.m.
January 16, 2017 12:05 a.m.